This is a really great, and seemingly simple activity that I complete with clients as part of Creating your Own Personal Brand workshop or within coaching sessions with people who want to be more confident about how they come across to others. You start with an outline of a person or something that symbolises you. You then write in that image what is important to you as a person. These can be values that you hold true about yourself and you want others to recognise such as being trustworthy, caring or fair. Or they could be behaviours that you believe are really important for you such as being approachable and friendly. Next reflect on how you are now and how you want to be. 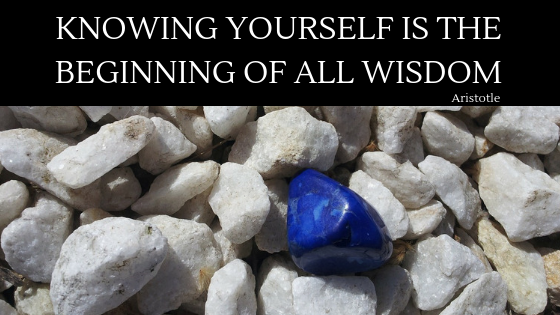 This will help you to identify how to develop into the person you want to be. A really great (and courageous) activity to do is to share this image with people you trust, get their feedback on how you come across and talk about how they can help support you to live that image. In our experience often how people want to be (their “Brand”) is actually what others see in them. So when we get this feedback we can be pleasantly surprised and pleased that we are being who we want to be. It’s a lovely ‘gift’ for someone to give you. Of course if the feedback is not what you hope at least you know other people’s perceptions of you and with the right support can do something differently to address this. Sometimes it’s just you who holds your “Brand” back, so you need a mind set shift and a few simple techniques to address these. One example is how to be approachable when you are nervous around meeting other people. A tip here is to give eye contact with people (even if you don’t like to do this) and smile. Immediately the perception of you will be that you are a friendly and approachable person. It’s quite a deep activity but it really helps people to think about their true identity and what they need to do to live it. If we are true to who we really are and want to be in life then we will be happier in ourselves. 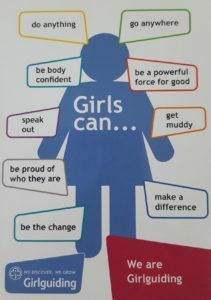 We love this technique and so we were so glad to see it being used by the Girl Guides with their I Can message. This is a great activity for all ages and genders as it really works. If you would like to know more about these tips or want some personal coaching to support you with your own personal brand please contact us.